Today being Support Your Media Day, it made me think about the late Don Cornelius, who was a trend-setter in the independent black media movement. 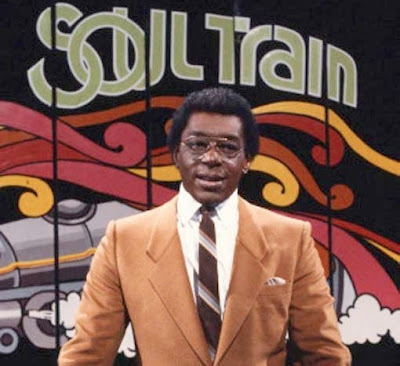 I wasn't old enough to appreciate the musical legacy of Soul Train during the height of it's popularity. However, after recently viewing a VH1 documentary about the dance show, I developed more respect for Cornelius' entrepreneurial spirit and sense of black unity. One thing I learned was that Cornelius was a forefather in developing black-owned media, when he gained ownership of his TV show in the 1970s. Cornelius did this at a time when there was very limited black visibility, let alone ownership, on television. He also leveraged his success with the help of other black-owned businesses, most notably with Afro-Sheen. The idea of independent black media is still as important today. More independent content producers are finding new homes on the Internet. Last night, I went to a screening of "The Mis-Adventures of Awkward Black Girl" with it's actors/creators Issa Rae and Tracy Oliver in attendance. Since the sudden popularity of the web series, the pair have been courted by various Hollywood executives about turning it into a TV show. Rae said that "the goal for this show is to change Hollywood;" however, many of the executives she has met with so far want to change the theme and the characters so drastically to the point where the TV show wouldn't remotely resemble the original web show. For instance, Rae, who is a dark-skinned black woman, said one executive wanted her character to be possibly played by a light-skinned black actress like Lauren London in order to get mainstream appeal. These challenges represent a larger problem. "The only representation of blacks in Hollywood right now come from Tyler Perry," said Oliver. "If people want to change Hollywood, we have to support films and TV shows you want to see to give Hollywood a message." Oliver reminded me of a recent episode of the Tavis Smiley Show, where the host interviewed "The Help" stars Viola Davis and Octavia Spencer about the lack of decent films and TV programming about African-Americans. Much of this goes back to the lack of black-owned distribution companies and black financial support for "positive" black shows and movies. My point here is maybe if the black community came together with its resources, just maybe there would be more positive programs like "Awkward Black Girl" and less films that only portray blacks as maids and criminals. As corporate media quickly takes over everything, now more than ever is it important for blacks to demand better representation of themselves in the media, like Cornelius did 40 years ago. Whether it is through Hollywood or the Internet, maybe we need to get back to the black-owned business values and pride Cornelius established with Soul Train in order to reinvigorate a "real" independent black media movement.